The node of Metabolomics Australia based at CMCA provides open access to all researchers across Australia, including training, sample analysis by mass spectrometry and consulting. 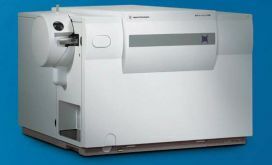 Our goal is to use our expertise and equipment to fuel cutting-edge research. We strive to form strong collaborations with any interested scientists to increase the value of their research. Metabolomics Australia was founded in 2007 as the first high-throughput Metabolomics facility in Australia. There are currently five research nodes around the country that house staff and equipment dedicated to servicing researchers interested in small molecule analysis – amongst which Metabolomics Australia at UWA is one. Services are focused on all areas of technology, with the aim of providing access to world-leading advances in analytical techniques for academic and private industry users. Metabolomics is defined as the non-targeted detection and quantification of small molecules (metabolites) in biological materials (plasma/urine/tissue/plant/oceans/microbial extracts). The resulting metabolite profiles reflect the actual cellular condition and provide useful indicators (biomarkers) of abnormalities/health, consequences of genetic engineering and adaptations to test compounds (such as drugs) or environmental factors, as well as a means of discovering new biomolecules (biomarker discovery) and monitoring food quality. In combination with other functional omics analyses, it offers the potential to understand a whole biological system. Metabolomics requires reliable sampling and precise capture of thousands of metabolites from the biological sample of interest. 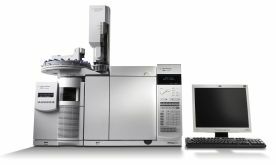 The utilisation of a variety of complementary analytical platforms is crucial for identifying and quantifying the large numbers of chemically diverse primary and secondary metabolites typically found in biological samples. The most commonly used platforms for the detection and measurement of metabolites involves the use of gas chromatography (GC), liquid chromatography (LC), or capillary electrophoresis (CE) coupled with mass spectrometry (MS). Compounds may also be measured directly without chromatographic separation using nuclear magnetic resonance spectroscopy (NMR). Finally, it requires appropriate informatics for data extraction, mining and interpretation of the obtained information. Instruments are located at Room 3.36, Bayliss Building, Perth campus. If you want to understand more about metabolomics and how it can relate to your biological question, contact Asst/Prof Michael Clarke.